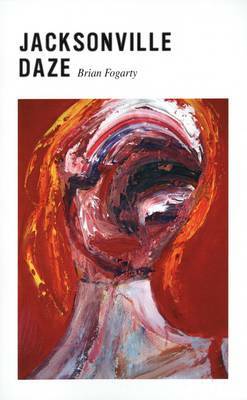 “A painting can suggest, with storms of brushstrokes, that it’s more desirable to be touched violently than never to be touched at all.” (David Lawton in Brian Fogarty’s novel “Red over Blue”) Directly informed by personal exposure to darkness and violence (e.g. 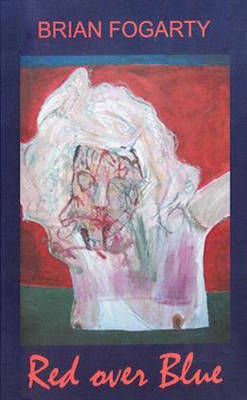 from his childhood, and whilst researching his novel “Red over Blue” during the two years he lived and taught English in Sudan, and up to the present day), nevertheless Brian Fogarty rarely illustrates his personal or political experiences direct onto the canvas in the form of Bhasquiat, de Kooning, Aboudia Abdoulaye, or Goya-like pathos or menace-filled generic ‘mentalists’ or monsters. 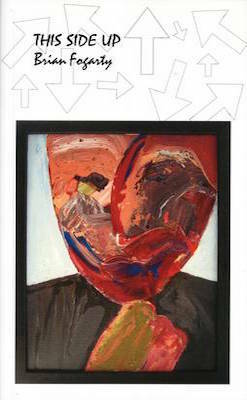 Although he often communicates inner turbulence and personal feelings through the energy, density, fluidity, and vividness of the paint marks he makes with brushes, knives, sponges, fingers, fabrics and the arsenal of kitchen and household implements he keeps by him in his studio, the state of mind of the artist at times seemingly mingling through some alchemy of empathy and osmosis with his subject’s, the viewer rarely loses sight of a particular physical entity being observed and experienced, notwithstanding empirical and chance/accidental distortions of facial features and body parts, and thus the essential unique identity of the particular person remains and the reality specific to him or her. Brian Fogarty is fascinated by human flesh, the basic substance of life, and in many of his portraits and naked portraits his aggressive and tender handling of the often heavy, Cremnitz white-based mixed pigments produces an organic quality suggestive of body tissue, veins and arteries just as if he is seeking to explore beneath his subject’s skin to expose their very essence. He is obsessed with the belief that, through painting them, he can somehow reincarnate people he has lost, (or, indeed, has an overwhelming desire to meet for the first time). 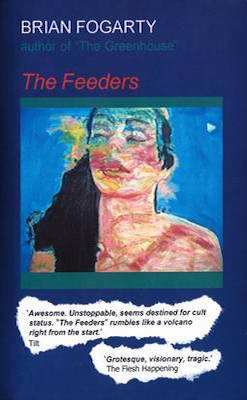 This process of recovery, akin to Marcel Proust’s alter ego’s journey in his great novel “In Search of Lost Time”, sometimes takes months or even years before Fogarty is satisfied that he has created on canvas the next best thing to the reality of the presence of the person he has lost – to them actually being there. 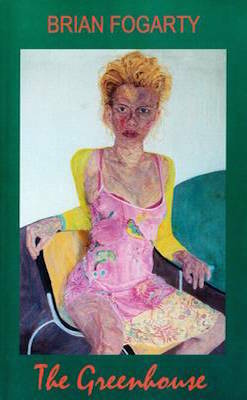 Paradoxically, as with his novels when asked whether he’d rather have the work of art he has created or the person who inspired it, he inevitably chooses the former which after so much intense work has achieved a complete autonomy, even though it may be an uncanny likeness, an extraordinary, even eerie incarnation of the person he has lost (or desires to meet) in all their sensual, psychological, profane and poetic reality. 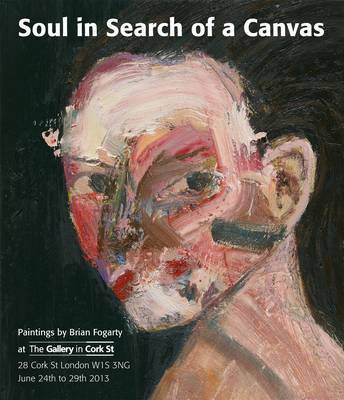 The artists who have nourished Brian Fogarty and most influenced his work – e.g. Freud, Bacon, Soutine, de Kooning, Schiele, Warhol, Bhasqiat, Pollock, Munch, and Marlene Dumas are diverse and often the antithesis of one another which has helped him forge his own particular style.